Students have the opportunity to be part of our Bands and Ensemble Program. The programs are conducted by professional, experienced ensemble directors, who guide their students in aspects of ensemble and band playing, developing an appreciation of different kinds of music and performance experience. Through membership in an ensemble, students develop self-discipline, improved self-esteem, commitment, and team spirit. Hastings Secondary College Concert Band is a new ensemble encompassing the long and proud tradition of Port Macquarie campus’s concert band and Westport campus’s instrumentalists. The Ensemble performs at many events both within the school community and state events such as Education Week. We also host many touring professional bands and ensembles. 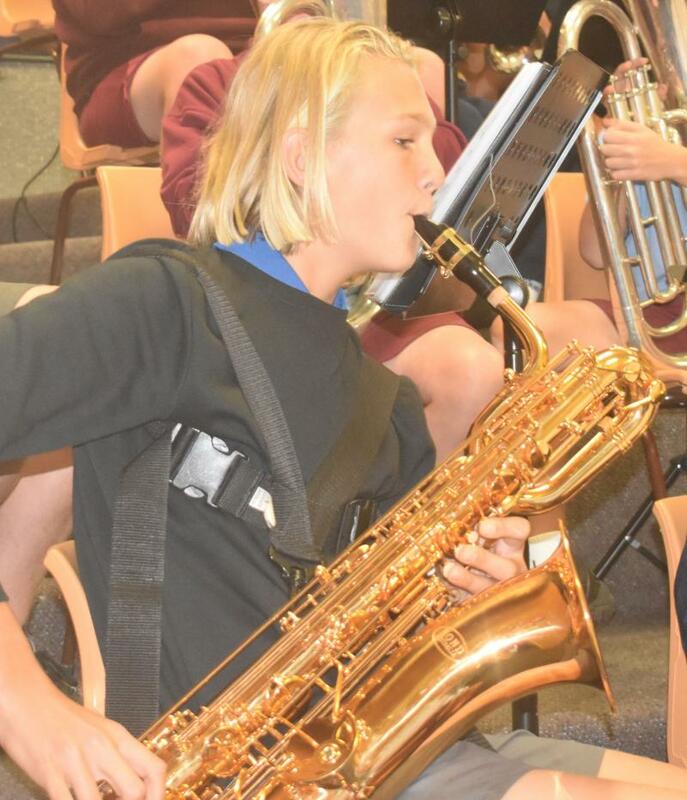 The Hastings Secondary College Concert Band has been a proud member of the Hasting Valley Community of Schools Orchestra and is eagerly anticipating working with younger instrumentalists. The Port Macquarie Campus Stage Band, “The Meteors” This ensemble initiated due to the overwhelming numbers of highly developed instrumentalist students giving them the opportunity to experience performing within a professional band environment. The diverse repertoire, suitable for many occasions, has given The Meteors priority invitations for many events, always received with high accolades. HATCH Big Band formed in 2013 and is one of our fantastic Public School bands. It started due to interest from students and their band/music teachers to extend the skills and performance opportunities of our very talented music students. HATCH stands for Hastings And The Camden Haven and includes students from Hastings Secondary College Westport Campus and Port Macquarie Campus. It involves students as young as Year 4 (10 years old) up to HSC students. They have had a significant impact on our local community, around Australia and internationally. Hatch Big Band performed to wide acclaim at Port Macquarie’s BIG BAND BLAST.